Feel the ocean breeze as you enjoy an open bar, delectable food and dancing under the stars to live music from Encore Event Entertainment at the first Del Mar Dance for Diabetes. 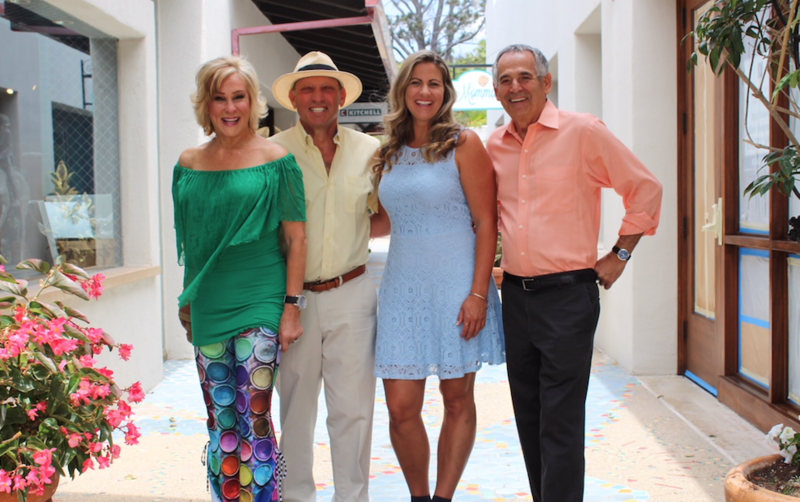 Hosted by the Diabetes Research Connection (DRC), the Del Mar Dance for Diabetes will be held on Saturday, September 29, from 6 to 11 p.m. at the Del Mar Plaza. Guests will find a unique opportunity to connect with others in a spectacular environment while participating in a worthwhile cause, helping over 1.3 million individuals with type 1 diabetes (T1D) in the U.S. alone. The event will raise necessary funds to support DRC’s mission. Established in 2012 as a nonprofit organization by David Winkler and Dr. Alberto Hayek, its mission is to connect donors with early-career scientists enabling them to perform peer-reviewed, novel research designed to prevent and cure type 1 diabetes (T1D), minimize its complications and improve the quality of life for those living with the disease. Dr. Hayek is a world-renowned pediatric endocrinologist and diabetes expert. Dr. Hayek has played a critical role in the science and development of pancreatic islet cell replacement therapies for T1D . His research has contributed to an extensive body of work relating to pancreatic beta replication and preservation published over several decades. Dr. Hayek is the Scientific Director at Scripps Whittier Diabetes Institute and Professor Emeritus of Pediatrics at UCSD. Consequently, Dr. Hayek has dedicated his life to T1D research . He finds it particularly rewarding and inspiring to mentor junior investigators in T1D as they take their first steps toward independent thinking in research and care. Both Doctors Hayek and Winkler believe it takes a community to connect for a cure, which is why they choose to crowdsource funding for new T1D research projects. DRC is the only research organization using crowd and traditional funding focused on next generation scientists. The community chooses which project(s) to support and 100 percent of donations made will go directly to the scientists lab. Tours are offered in a clinical setting and can be organized by Christina Kalberg, Executive Director of DRC so that interested parties and donors will have a more in depth understanding of research and how their contributions will be directed to researchers’ laboratories. Over $600,000 has been raised to date for innovative diabetes research projects. Since November 2014, 12 research projects have been funded , and 10 new research projects are expected to be funded annually, raising a total of $500,000 to support early-career scientists. Once the review process of the initial grant application is completed by DRC’s Scientific Review Committee (SRC), the scientist submits a 3-page grant application to a specialized group of reviewers. The SRC is comprised of over 80 of the tope T1D researchers in the U.S. and Canada. Once the project is approved , DRC grants up to $50,000 supporting each project. DRC utilizes this mechanism to connect scientists beginning research directly to the crowd of people seeking solutions to T1D. The seed money supporters provide through DRC’s website helps to ensure innovative ideas can be pursued. Without the source of funding, the number of researchers in diabetes is certain to decline. DRC researchers develop preliminary data and begin to show proof of principle to enable them to obtain larger grants. One researcher received $1.3 million based on a project funded first by DRC. The mission of DRC is personal to David Winkler, Co-founder and Chair of the Board of Directors. “We were devasted. Trying to comprehend and make sense of what my diagnosis actually meant at age 6 was impossible. There were no support systems in place back then. Not for me and not for my family. It was 1960 and the management of T1D was in the Stone Age. I remember having to sharpen my own needles at home with a grinding stone, so I could inject myself with animal insulin that gave me horrible welts, it was extremely painful. To monitor my blood sugar, my mom would drive me to the hospital once a quarter to test through a urine sample. Sherry Berman Ahern, Event Chair, serves on the Board of DRC and has a compelling reason for her involvement with the program as well. Her son Brendan was diagnosed with T1D at the age of 10. Brendan, who is now in his 20’s, recently received an MBA from the University of California, San Diego Rady School of Management and works in the family business, Ahern Agribusiness, Inc. Along with her husband Kevin, they have been involved with DRC since its inception. “While researchers have not found a cure yet, in their search for one, they have found ways to improve the lives of those of us living with this extremely difficult disease and I for one, am forever grateful,” Hayek said. For tickets and more information, visit diabetesresearchconnection.org/dancefordiabetes or call 844.484.3372.